Club Penguin Times Newspaper Issue #422! 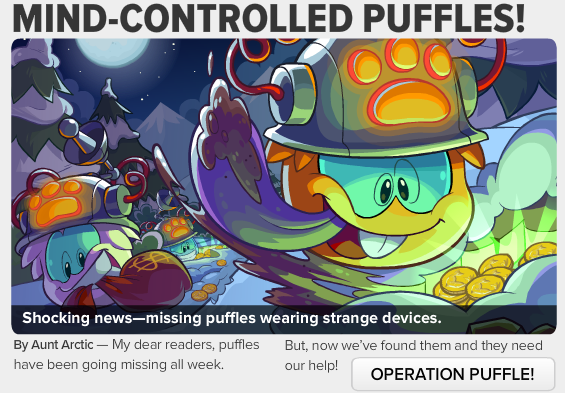 If you click 'OPERATION PUFFLE!' then you will be able to read more. 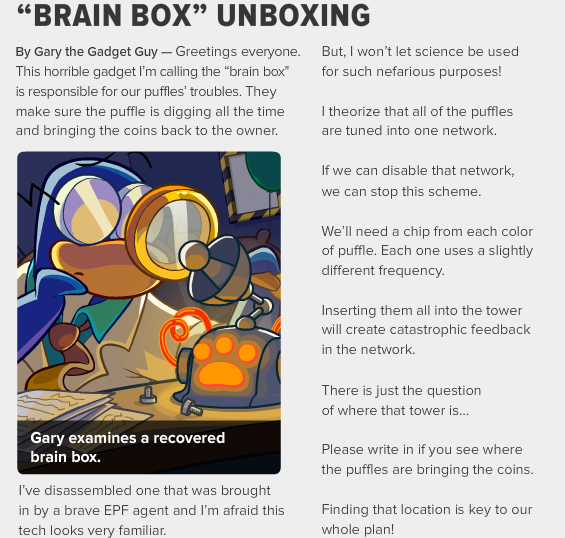 Then Gary tells us about the Brain box. 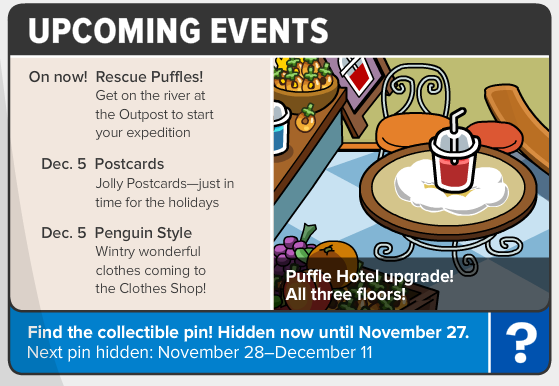 Then their is some awesome upcoming events including the puffle hotel being updated! 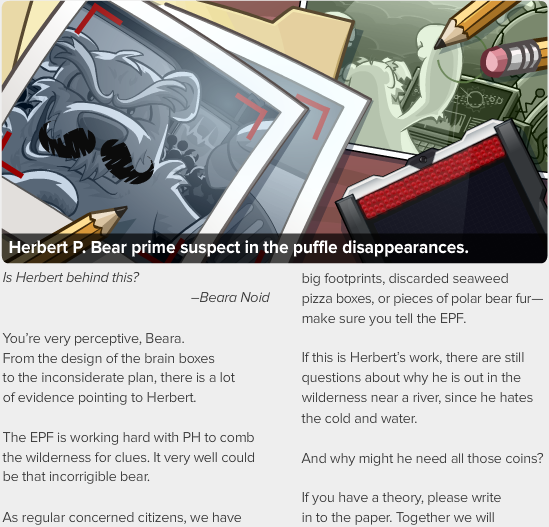 Then they tell us that herbert is the prime suspect behind operation puffle. 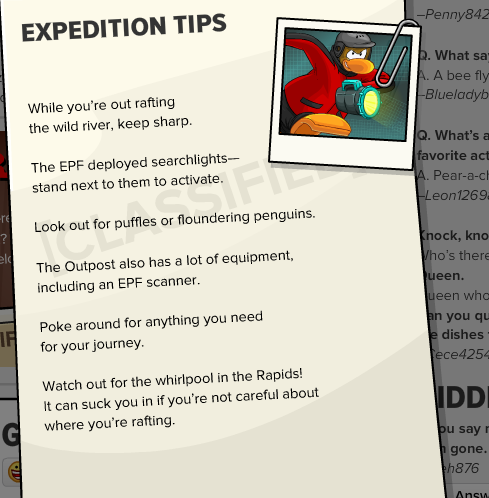 Also this weeks secret is about expedition tips! I really enjoyed reading about the upcoming events. What was your favorite part? Let us know in the comments below!